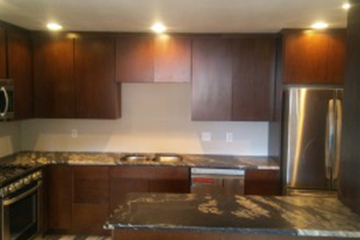 A countertop installer’s work is only as good as the product used. 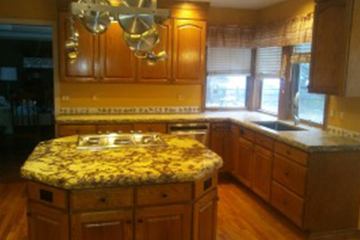 ADN Final Touch LLC only uses the very best in industry standard material. 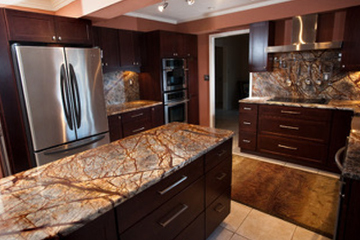 From all-natural granite and marble to quartz, ADN has got you covered. We offer a wide range of product to suit any style preference or budget. 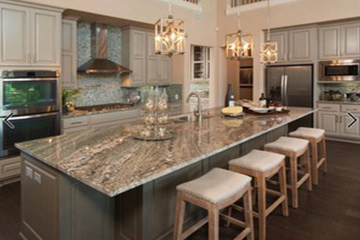 Choose the stone of your choice, or let one of our highly knowledge staff help you select the perfect stone for you. 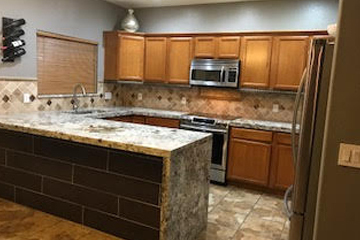 Granite is a highly popular all-natural product, comprised of mineral crystals, which have been around for millions of years. It’s heat resistant and very easy to maintain. The stand out feature of this organic product is its diverse appearance, which enables every slab to be unique, and add character to any room that it’s in. It’s highly revered for its durability and glossy finish, making it an ideal selection for any indoor or outdoor surface. 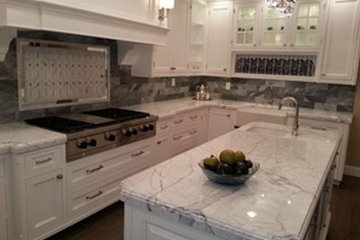 Marble is an excellent selection for those seeking an elegant, yet classic look. It’s natural, tried and true. Although it has been around for millions of years, it can be fragile, and does require a bit more maintenance than other stones. We highly recommend this beautiful stone for vanity bathrooms, fireplaces and showers. 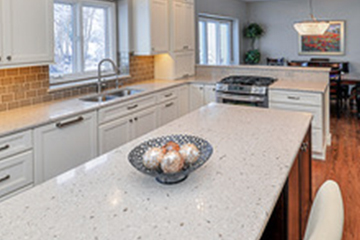 Quartz is a non-natural product, comprised of 95% quartz, 5% resins, polymers and various other pigments. Although it is a man made product, don’t let that fool you. Not only is it excellent quality, but it’s also stain resistant and very easy to clean. Customers rave over the consistent color palette and design patterns. 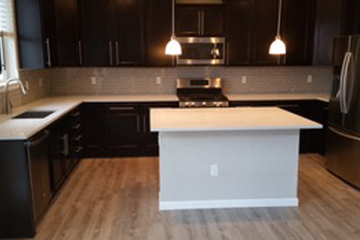 Those craving a modern look would bode well choosing quartz for their installation project.